We wanted to point out a few new clothing items from Too Fast Apparel for winter! 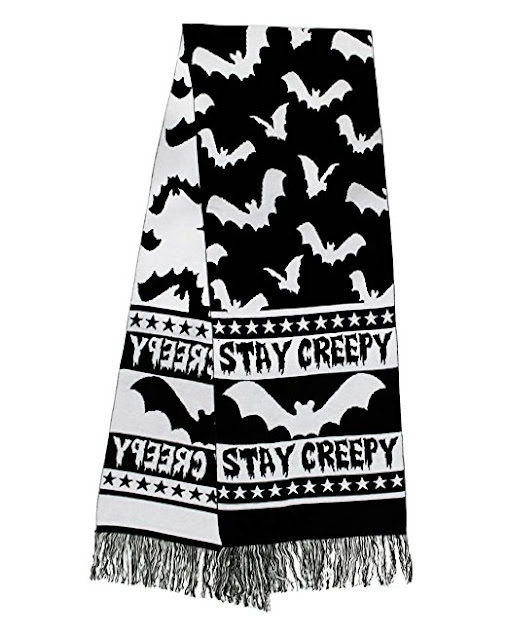 Here is Too Fast's "Stay Creepy" knitted scarf, featuring bats and stars. 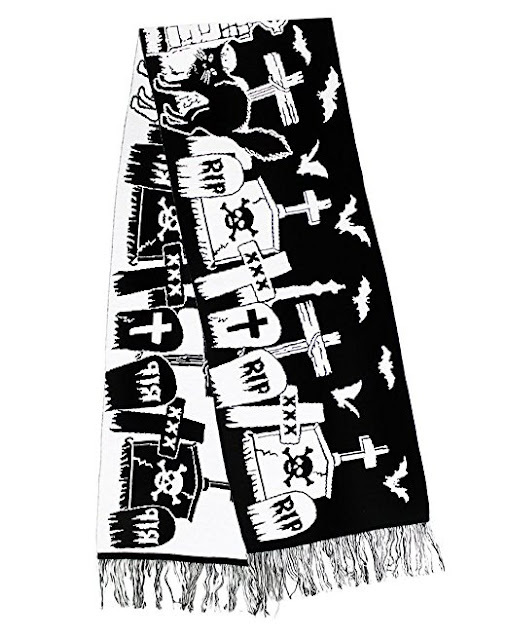 They also offer another knitted scarf, with a graveyard and tombstone pattern. Love it! 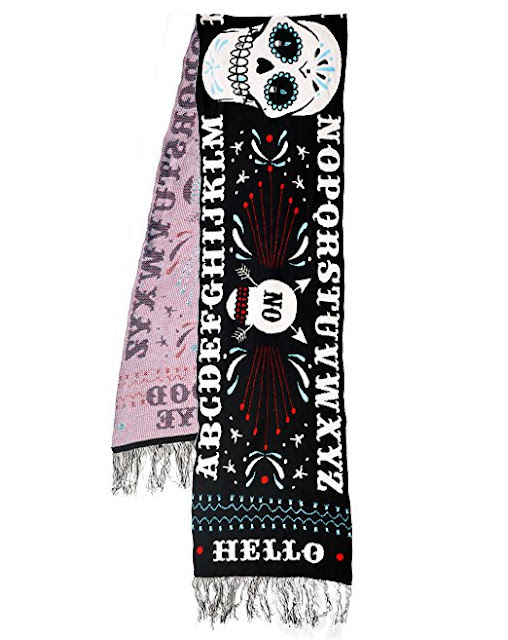 Perhaps a few of you will be tempted by their knitted Ouija scarf? 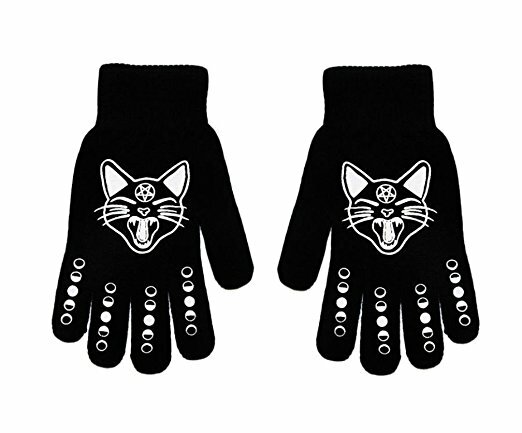 I like the black cats on these short gloves, but they probably wouldn't keep any of my East Coast friends warm while living through this epic cold snap! 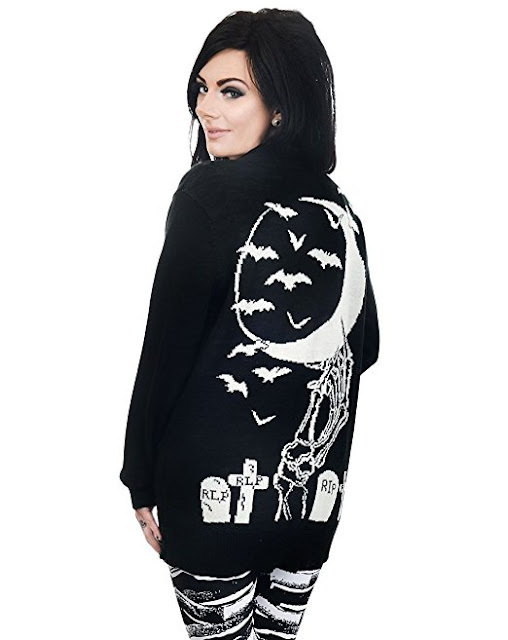 We probably shouldn't be too matchy-matchy, but here's a graveyard cardigan to match the scarf shown above. 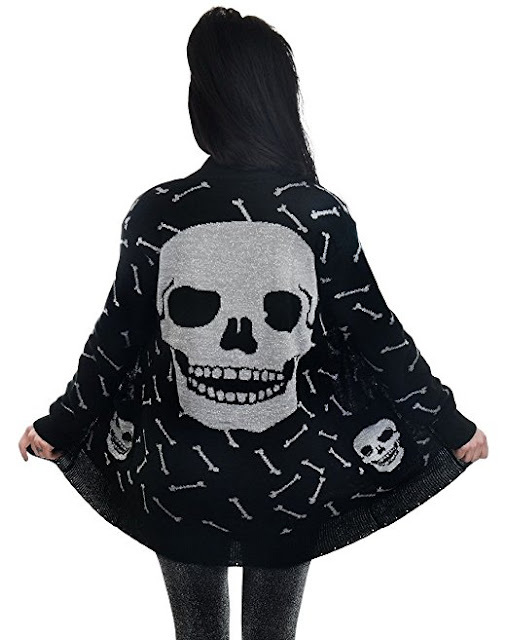 This skull cardigan features sparkly silver glitter! All of the above items should be paired with warm coats and cozy clothing, but are a fun way to accessorize and add just that much more warmth as you go about your eerie business!